Greetings! 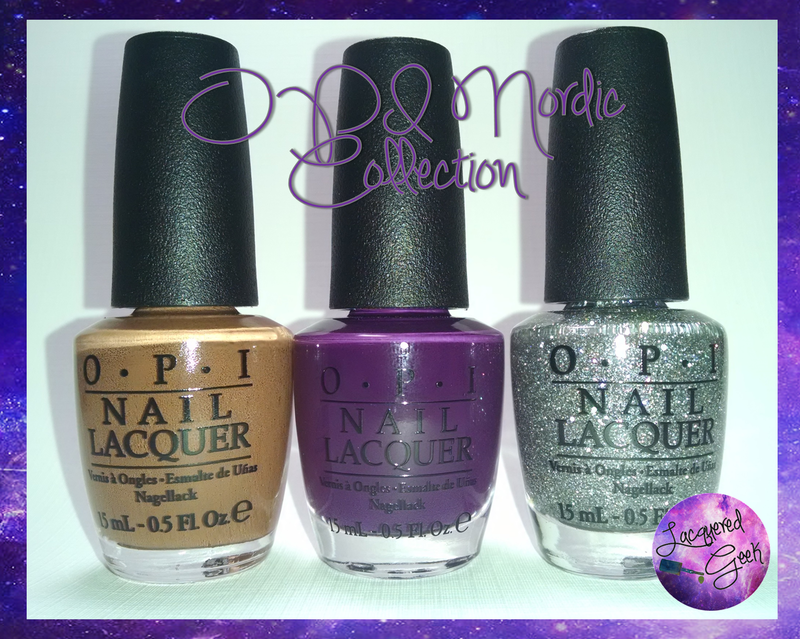 Today I have a couple of polishes from the Fall OPI Nordic Collection. Fall collections are some of my favorites. The latest collection is made up of 12 new polishes - 9 cremes, 2 shimmers, and 1 glitter. I have 3 of the collection to share with you today! 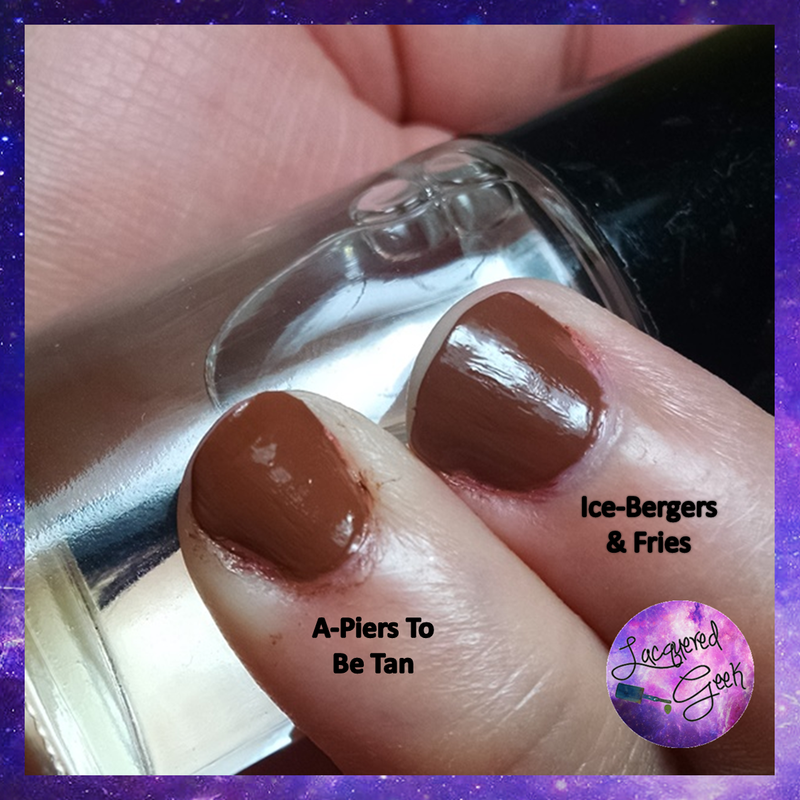 First up is Ice-Bergers & Fries, a chocolaty creme. It's very woodsy! 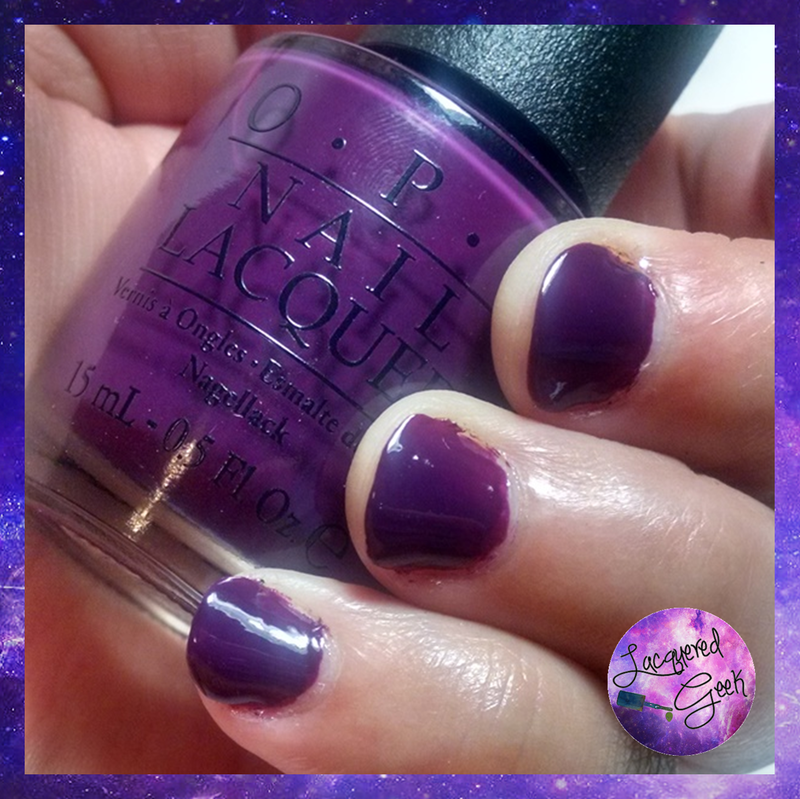 The formula was what we've come to expect from OPI - very smooth and opaque in just 2 coats. The photos below are with just the 2 coats, and no top coat. As I was putting it away in my neutral drawer, I noticed it strongly resembles another OPI creme, A-Piers To Be Tan, from last year's San Francisco collection. A-Piers To Be Tan is just slightly more red in tone as you can see from side-by-sides below. So definitely not a dupe, but similar enough that you don't need both. Skating On Thin-Iceland is a described as a black cherry creme. It's a gorgeous shade! I'm a sucker for a good purple. It's going to be perfect for Fall and Winter! The formula is the same as Ice-Bergers & Fries. The photos below show 2 coats, although I think a third coat would have been a bit better. 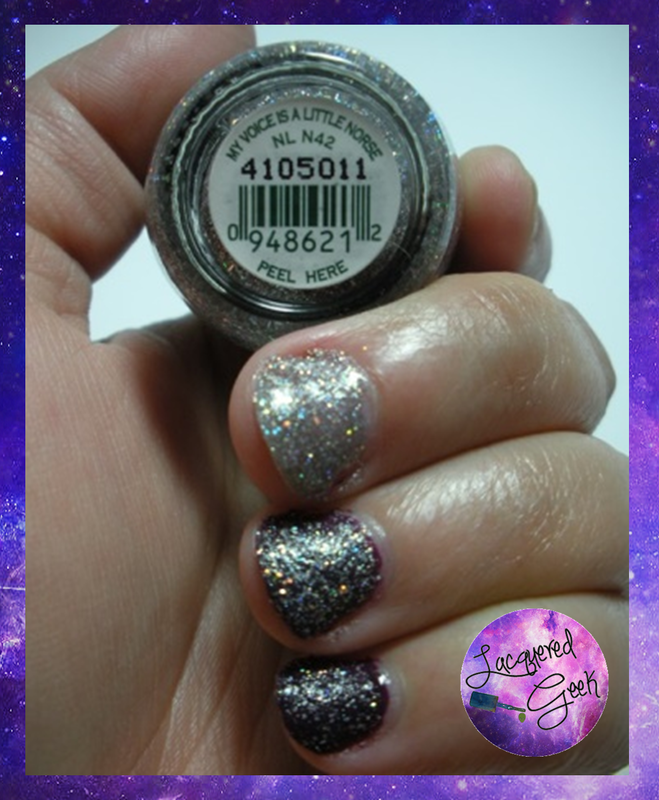 Finally, I have My Voice is a Little Norse, the only glitter in the collection. 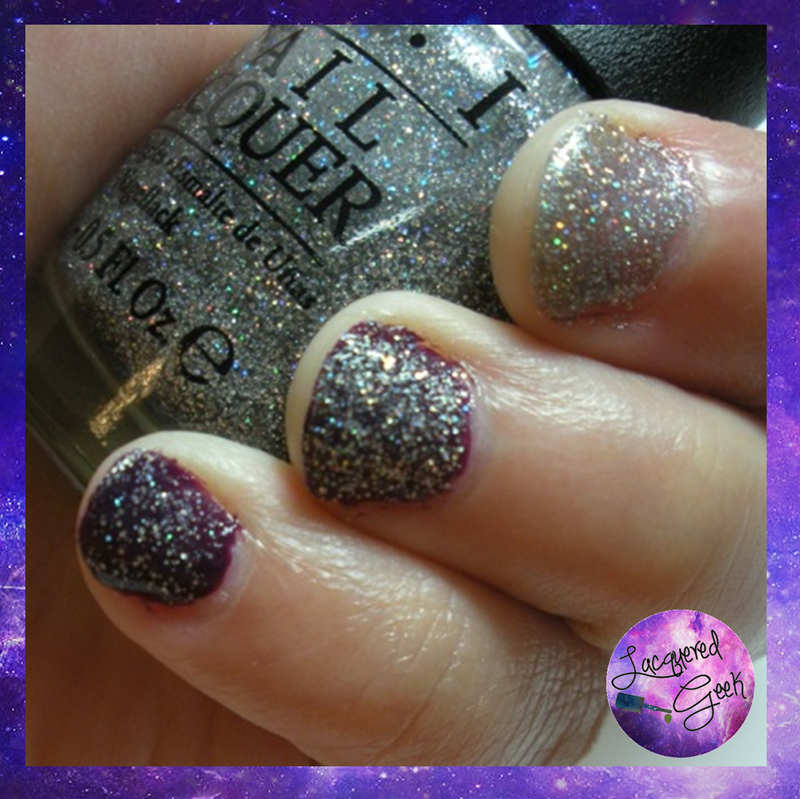 It's full of gray and holo glitters in a smokey base. It's super sparkly! Since it's got the tinted base, you wear it on its own. In the photos below, I'm wearing 4 coats on my middle finger, 2 heavy coats over Skating on Thin Ice-Land on my ring finger, and 1 coat over Skating on Thin Ice-Land on my pinkie. I think I may pick up a few more from this collection. I was super excited about this collection because I harbor a love of this area (one of my dreams is to travel to Iceland). Do you have a place that you dream of going? I love every color in this collection!